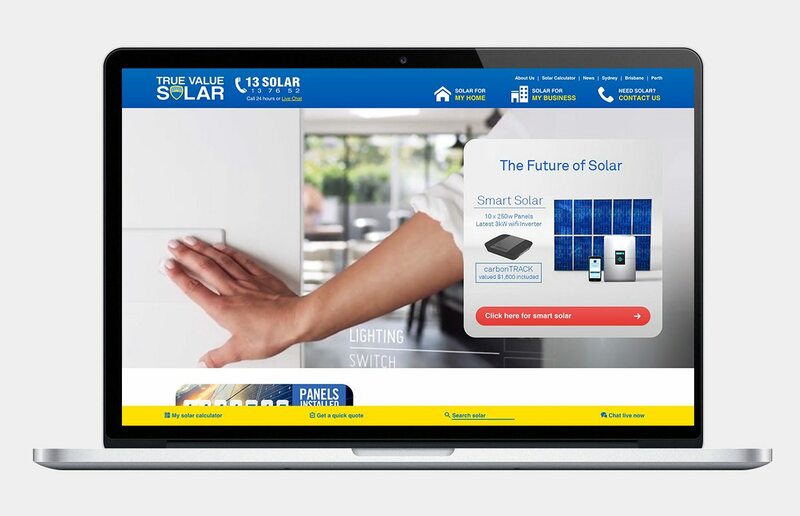 True Value Solar has become Australia’s largest solar company through a simple business ethos: buy high quality products directly from the manufacturer and pass these savings on to the consumer. As renewable energy becomes part of everyday life, more and more consumers are looking save with solar but need a low upfront cost, maximum returns and warranty security. 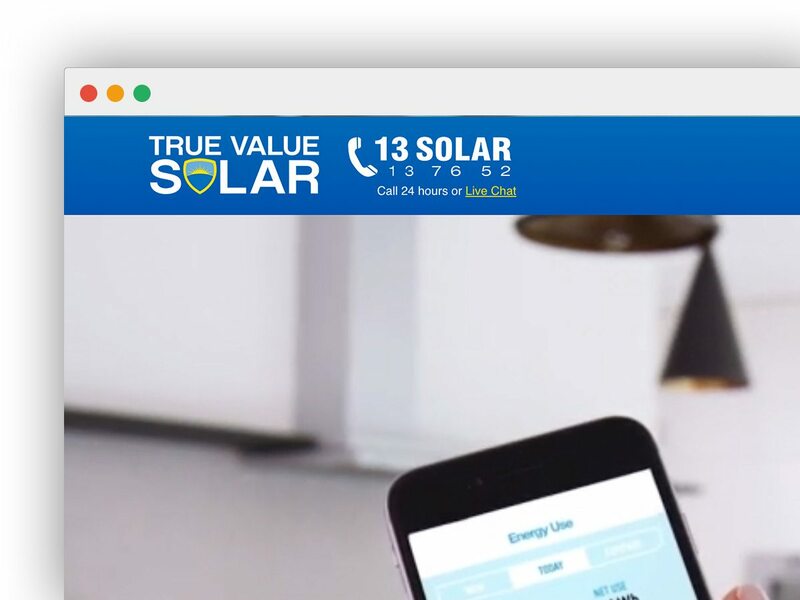 That’s where True Value Solar steps in. 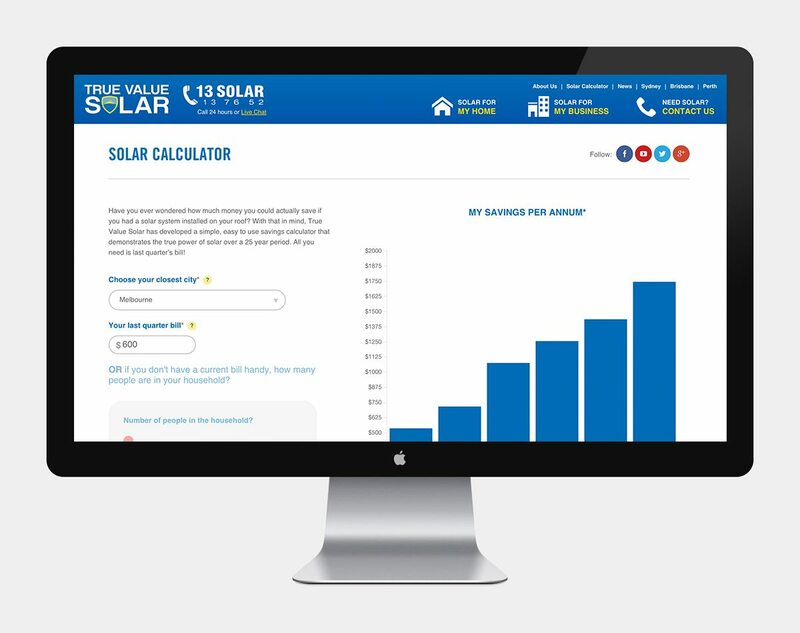 With over 1 Million solar panels installed and a 100,000 customers nationally, no other company comes close to the level of experience, expertise and customer service we can provide – all at a price Australian families can afford. Please note, client has re-designed their website and the current live URL is no longer our work.